Designed to meet the needs of both beginning and experienced musicians, our introductory choir sessions provide our youngest singers the opportunity to learn vocal technique, music theory, and rehearsal skills all in a highly active and engaging educational environment. This is an excellent stand-alone music class rich in content. For students this age, completing introductory choir is the first step toward joining our year-long performing choir program. Our spring sessions are underway. Week-long summer classes will be offered in June and registration is now open. Click here to register. 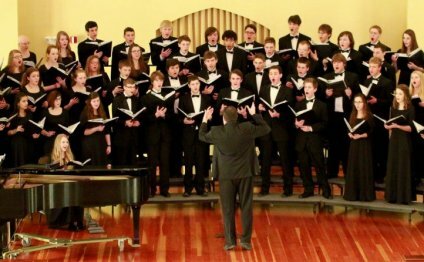 Performing choirs rehearse weekly during the school year (see Calendar tab and Handbook for more information) and have at least two public concerts each season. SIngers ages 10-18 may audition for a performing choir. No preparation is necessary: our conducting staff guides each singer through their audition. Auditions for next season are in May/June. Information will be posted here when audition registration is open. Questions? Please, Managing Director.